We will meet in the Griffin's Liar at 6:30pm. Please enter the main doors and the room is to your left. Welcome to the Lincoln-Way East Athletic Booster Website! 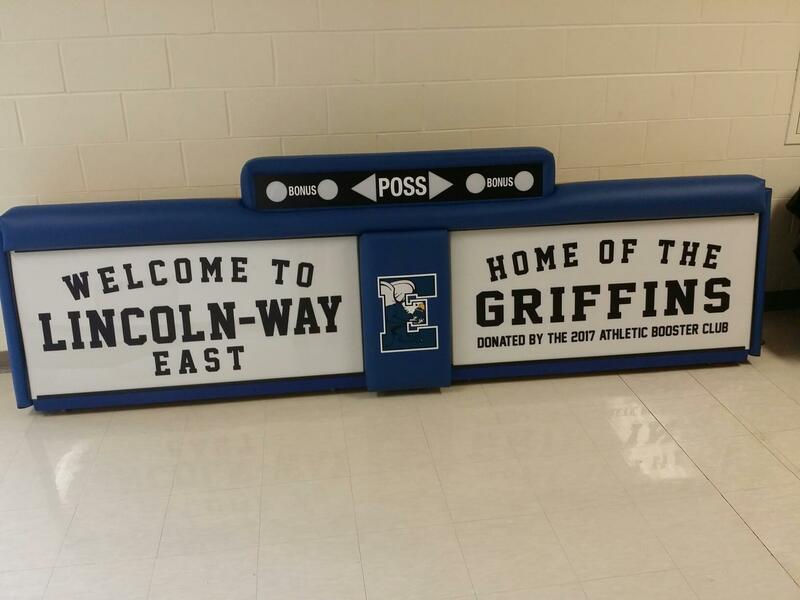 The Lincoln-Way East Athletic Boosters is an organization of parents and community members who work together to support the athletic teams of the high school. Each school year, funds are raised by various fundraisers and events. Funds are raised for all coaches. Coaches then request funds, for items, to help grow and develop their athletic team. To join LWE Athletic Boosters, please print the pdf form. The LW East Athletic Boosters have donated funds to purchase and install the new Hall of Fame experience at LW East. Athletes who have earned recognitions for All State and All Conference have been included in the Hall of Fame. In October 2017, the Athletic Boosters donated funds to purchase a new scoreboard. In the spring of 2018, the Athletic Boosters purchased a new swim time clock for the pool. The LWE Athletic Boosters will be hosting a Savers donation day! You can donate your used soft goods and household items in order to raise furnds for our athletes. Details will be posted soon! Volunteer to help! Click the link below to sign up! The link below will open our online volunteer sign up program. Please consider helping out at our events! Our Mission is to Support, Encourage and Promote ALL the Athletic Programs at Lincoln-Way East High School, to benefit the Students, School and the Community by raising funds to supplement the Athletic Department. GO EAST! GO GRIFFINS! GO BLUE! !